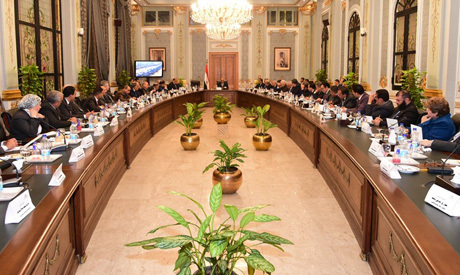 Constitutional amendments ahead in Egypt? 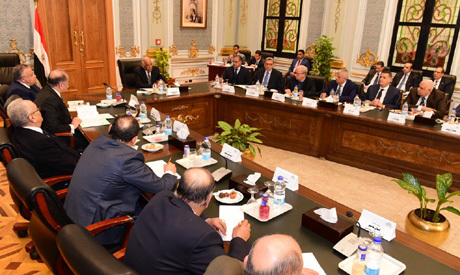 The general committee of the Egyptian parliament issued a statement on Sunday evening detailing several main issues discussed in its first meeting to discuss proposed amendments to the country's constitution. Parliament Speaker Ali Abdel-Aal had announced in a morning plenary session on Sunday that he had received a written petition, signed by more than fifth of MPs, asking that some articles of Egypt’s 2014 constitution be amended. “No fair person would deny that the test of reality shows some of the 2014 constitution’s articles need some revision; there is nothing wrong in doing this; the experiences of other countries testify to this,” Abdel-Aal said. "The barometre for any constitutional amendments is the building of strong, balanced and democratic governing institutions,' Abdel-Aal added. 1) Strengthening the representation of women, the youth, Copts, people with disabilities, and Egyptian expats through solid and fixed articles which are not subject to interpretation. 2) Establishing a Senate, a second chamber for parliament, to expand representational bodies. 4) The introduction of a position of vice-president to aid the president in his tasks. 5) Reforming the selection system of the heads of judicial authorities and bodies, the prosecutor-general, and the head of the Supreme Constitutional Court. 6) The formation of a Judiciary coordination committee headed by the president. 7) Reconsidering the procedure of the appointment of the defence minister, "given that the armed forces has demonstrated by siding with the people and their choices that it is the guarantor of democracy and a civil state." The committee resolved to meet again on Tuesday to continue discussions.